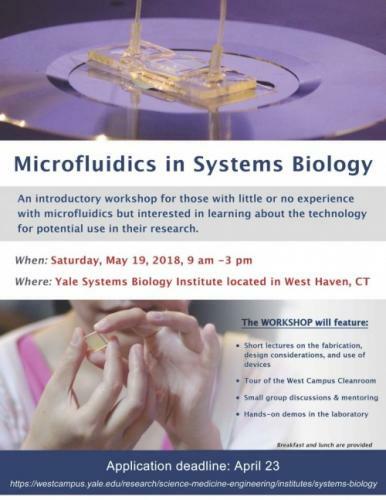 Microfluidics in System Biology Workshop will be hosted by Yale West Campus Cleanroom on May 19, 2018. Eighteen participants in three groups are going to attend lab tours. We are going to show device fabrication including spin coating, baking and photolithography, and finally generate 3D device structures using Zygo Optical profiler.